Since the advent of the internet, starting a business from home has gained a lot of popularity. If you too want to get into the retailing business and don’t have an idea of where to start from, you are at the right place. You probably have heard the word drop shipping from every other person you come around. But you are alien to it that what all it takes to start a drop ship business. What does it entail? From where will you get the products to drop ship for e-commerce business? Keep your worries aside as we are here to familiarize you with all about the drop shipping. This article will explain to you what is drop shipping and how does it benefit the retailers? 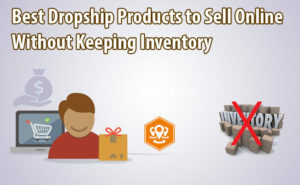 You will get to know that why drop ship is considered the best business opportunity in the online market. What does a drop ship mean? Drop shipping is the supply chain management technique where you reach out to a supplier who takes your orders and ships those items directly to the customers on your behalf. It entails opening up an e-commerce store online without having need of holding or storing the inventory. You don’t have to worry about the logistics and the shipping costs, nor have you to house the stock. The drop ship scenario is like, you take the orders and the customers pay you for the product. Only after you have got the payment from the customer, you pass that order to your supplier. You pay the supplier the discounted price of the same product to fulfill the order. Your supplier then ships the order directly to your customer. The main concept is that you sell the product that you don’t own but still you will be called as the owner of your business though. Your profit margin is the amount between the price you are charged for the products from your supplier and the price you charge your customers. The important thing is that you get the goods at a wholesale price which gives you an opportunity to earn the profit. You sell the products to your customers on the retail rates or the price you decide to sell them. Drop shipping is one such business model where you don’t need to spend money until the customer actually pays you. Every business has its own ups and downs. But drop shipping has more upside and positive factors than the negative ones. As it is a highly convenient and extremely competent option its downsides can come up and be ignored very easily. We will let you know what to keep in mind to cover up its negative factors. Let’s get started with knowing the benefits first. Easy to start: The fact behind why every entrepreneur wants to get involved in this e-commerce business is that it has a low barrier to entry. Your supplier keeps the stock for you and you don’t have any need to buy the stock up front. Your supplier delivers the order for you and handles the stock level. You only have to take orders and pass them on to your suppliers. 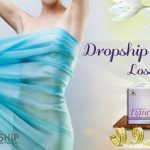 Low investment: Drop ship has made it possible for every to start a business who doesn’t have the capability to invest much. You don’t need to buy the stock in advance and you don’t have to rent a warehouse to store them. This saves a lot of money. You will only have to buy a product when you have got the payment from your customer. Location friendly: You can remotely control your business from wherever you are. You don’t need an office space or you don’t need to be at a particular place to run your business. You can be at home or you can be at your job there is nothing which can stop you from operating your business. As far as you have a laptop and an internet connection, you are ready to take orders. Along with this you also don’t have the headache of running to the warehouse to deliver the orders and handle the stock. Variety of product selection: You can offer a variety of products to your customers as you don’t have to buy stock in advance. So, it saves you from getting into the risk of a product not working in your favor. You can easily remove the items you think don’t bring you the productivity. You don’t have to manage the stock which means you can add as many products as you want to your online store. Easy to scale: As the major work is done by the supplier you don’t have workload over you. Drop ship business is highly scalable as buying new products and adding to your store won’t cost you anything. Neither you have to house the inventory nor you have to handle it. Everything is done by the supplier, the packaging, delivering, tracking the inventory and handling the returns. You no matter how much you expand your business, the sales will increase but the workload would be the same. Now comes the question that what are the negative factors and what should we keep in mind to avoid them. 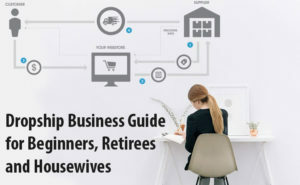 Well, there are only a few things you need to know to run a hassle free business. The first thing you should keep in check is with deciding the niche. You should stick with a particular niche and avoid adding multiple niches if you are a new seller. Go for the branded and best drop ship products to sell online. Research well about which will be the best products for starting e-commerce business. After a survey in the market and on the internet, come to the conclusion regarding the selection of products to drop ship for e-commerce business. The second thing is that you should search for a trustworthy and a good supplier. As your whole business depends on the quality of the products and the delivery services, a reliable supplier should be your first requirement. They should be quick at delivering the items to the customers. A good supplier is the only one with who you can keep a long term relationship. He should regularly update you about the stock level and the market demand. Therefore, finding one such supplier is really important for your business to run successfully. Drop shipping is an awesome concept and to cherish its advantages you should pick a niche that you can serve very well. You can’t get started with anything you want if you truly want to gain profit. There are multiple competitors who are experienced than you and understand the customers very well. Therefore, pick a niche that you are familiar with and if it’s in a public demand. To help you ease in selecting a niche, we suggest you herbal supplements as the best products for starting e-commerce business. These are niche products and are rapidly gaining trust and popularity worldwide. Nowadays, people are alarmed up due to commonly increasing diseases all around. So, they have quit using chemical loaded products and switched to the herbal products. Herbal products are the best drop ship products to sell online they are natural and healthy. These natural products are away from side effect and are rich in nutrients content. Natural supplements are inexpensive as compared to other products. This is why people are much concerned about their health and there is a rise in demand of herbal products. The herbal products are the best drop ship products to sell online and trending the market. Select the herbal products as your niche products and avail the benefits of drop shipping. 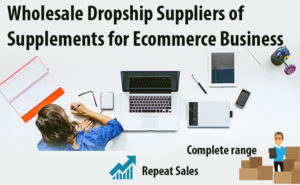 If you are ready with the two main things – Your niche product to drop ship for e-commerce business and a great supplier who will give you the best drop ship products to sell onlinethen get started with joining the drop ship program your supplier provides. Select the products todrop ship for e-commerce business from a wide range of list. Then write a unique description for each of the product you have selected. 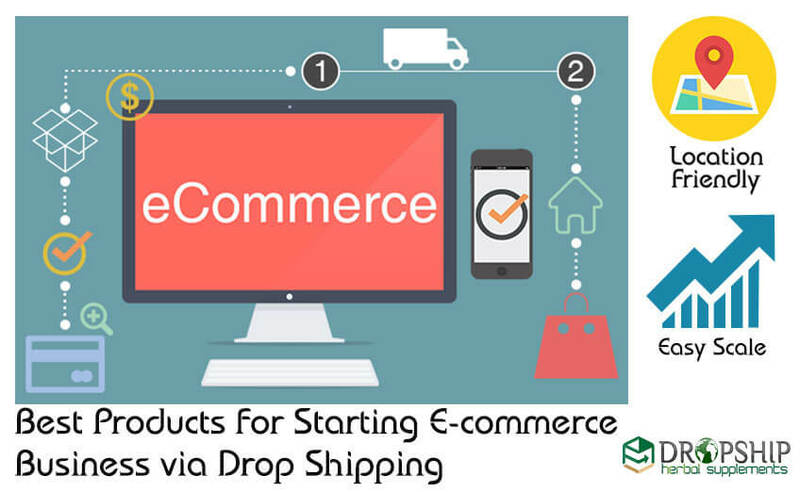 Then proceed with the final step, get your website setup for listing the products to drop ship for e-commerce business. You can also use Amazon and eBay or other online marketplaces. Then list the products on your online store with their descriptions. These descriptions help the customers to understand your product. You are done now! When you receive an order, confirm it taking the payment from the customer. Open your drop ship account and place the same order to your supplier paying him the wholesale charges. He will then ship the item directly to your customer. Hence the order is fulfilled and you have got your profit money. Are you searching for a reliable and a good wholesaler supplier who offers you best products for starting e-commerce business? 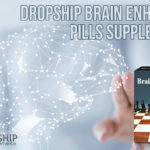 Trust DropshipHerbalSupplements.com which proves to be the best and provides you best drop ship products to sell online. They are the best manufacturer and wholesale supplier of the natural health supplements and herbal products. They offer you the world class and best products for starting an e-commerce business. They are well known for their quality products and holds a reputation in the market. 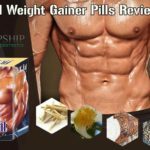 You will find it easy to achieve goals when you select DropshipHerbalSupplements.com as your wholesale supplier. They have numerous happy clients because they keep a healthy relationship with their drop ship partners. They keep a constant contact with you to keep you updated about the trend in the market and about the stock level. So you don’t end up being in trouble taking the orders that are out of stock. Get the best products for starting e-commerce business and be ready to stand out in the market.